Finally, the transfer done. Yet recently we told you, we had purchased certain gear for our old friends, the sniper division of the 17th Separate Tank Brigade. A couple of days ago Maxim Ryabokon, People’s Project head, visited a secret firing ground where the division fighters were training, and personally handed them the equipment. 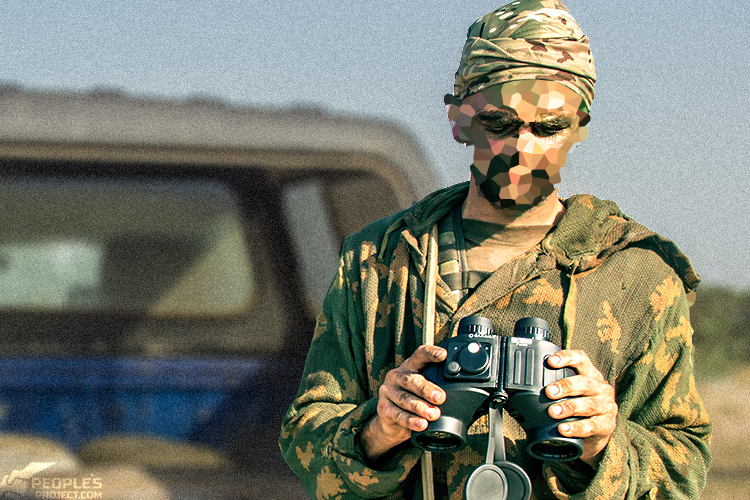 Two powerful sniper binoculars and two pocket navigators for the snipers to calculate beforehand and safely arrange both the ways for withdrawal and new positions. Besides, we added another useful, powerful item which is vital for the snipers – a pocket laser rangefinder. This is a truly mighty gear – we used to check it ourselves. It is capable of instant calculating the distance to any object within up to 1600 meters which exactly matches the sniper’s work range. With maximum precision. It will definitely prove useful for the guys since they are about to leave home station where they had a brief rest, and head to new positions on the forefront. 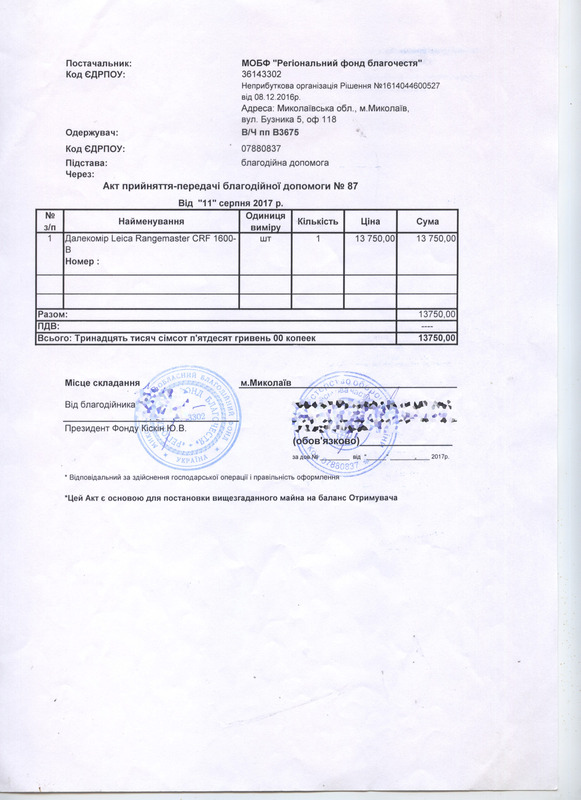 All this gear serving our common purpose – getting our Ukrainian land free from the occupants – we succeeded to purchase only thanks to your help. 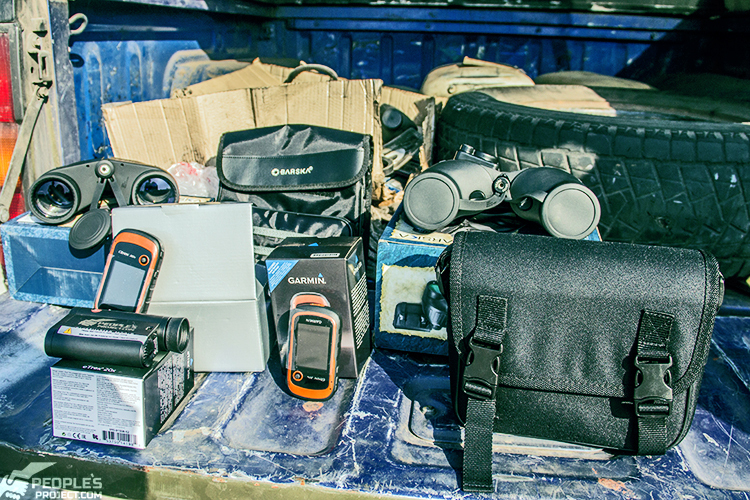 As this equipment had been bought for the money raised within the «Rapid Response charity project. In this program, both Ukrainian Army units and separate special divisions send us applications for certain ammunition and gear they need, and we accumulate your donations and purchase all necessary stuff as soon as we can. The war is on. That is why we repeatedly ask you for help – dear friends, please do not cease your support of the project as the war knows neither days-off nor holidays. 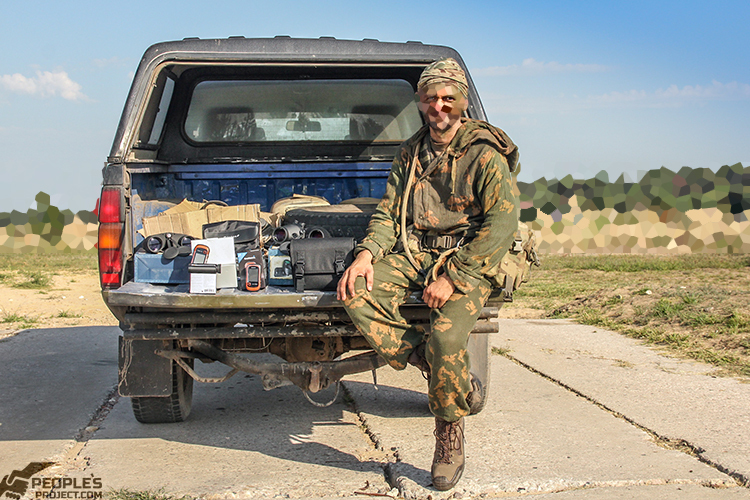 Your benefaction in the Rapid Response project allows us to equip Ukrainian soldiers according to the latest trends in military science and technologies. For them to eliminate any invader or trained killer fast and easily. So who but we must do our best to help Ukrainian army in this.